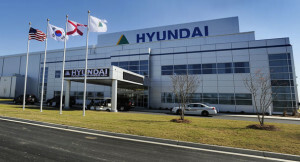 Korean automaker, Hyundai, headquartered in Seoul, South Korea, began producing cars in Montgomery, AL in May 2005, and in 2010, Hyundai Heavy Industries decided to make Montgomery home to it’s first North American plant. Since then, Montgomery has seen a wonderful influx of Korean culture and style. 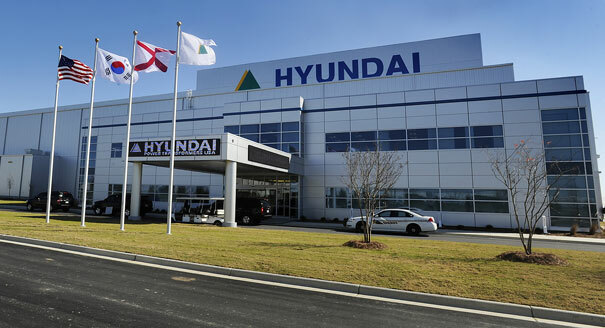 As Korea becomes more and more ingrained in the state, Alabamians should take the opportunity to enrich their own lives by learning about the lifestyle, customs and traditions of their new neighbors. Korean history begins in 2333 BC with the founding of the ancient Korean kingdom of Gojoseon. Korea was annexed by the Empire of Japan in 1910. At the end of WWII, Korea was divided into Soviet and U.S. zones of occupation. An election was held in the U.S. zone in 1948, which led to the creation of the Republic of Korea, the official name of South Korea. Although the United Nations passed a resolution declaring the Republic to be the only lawful government in Korea, the Soviets set up a rival government in the North. South Korea is bordered by China to the west, Japan to the east, and North Korea to the north. The first group of Korean laborers came to Hawaii in January 1903, but after the annexation by Japan, immigration virtually halted until the Korean War ended in 1953. Since then, Korean Americans have become noted for starting small businesses, diligently planting churches, and achieving great successes in prestigious universities and highly skilled professions. Koreans brought with them a culture that incorporates aspects of Chinese, Japanese and Western Cultures. These influences filtered into Korean society through its long history, but Korea maintained native elements of their literature, art, music, and way of life. The result is a wonderful collage of elements from which people in Montgomery and all through Alabama can learn. Korean culture is maintained within their communities through church organizations, schools, and culture camps. Although Korean cooking is similar to other Asian cuisines, it is different in many ways. Often highly seasoned, a typical meal might consist of rice, soup, kimche (a spicy Korean dish), vegetables, and broiled or grilled meat or fish. Served at virtually every meal, kimche is typically made from cabbage, turnips, radishes, or cucumber and is considered the national dish of Korea. For a taste of kimche, jambong, or manduguk, you can go to one of Montgomery’s many authentic Korean restaurants. Prices are reasonable and the waiters are always ready to help a newcomer interested in learning about Korean food. In January of 2012, the Montgomery County Council introduced a bill to officially add Korean American Day to the county’s list of designated days of religious, ethnic and cultural significance. The bill passed, and now Korean American Day is officially celebrated on Montgomery County on January 13, recognizing the first group of immigrants to the U.S. from Korea. Many Alabamians, especially those in Montgomery County, are lucky to have the opportunity to learn first-hand about the lifestyles and culture of such a rich community. Hopefully, we can continue to learn from each other and to embrace the differences that make the Korean community so unique and special.